Team captain, #JohnnySwiftSmith was hoping to come in under the 67Kg limit for his 2nd Pro fight, he hit all the 6:66kg .4 grams under. 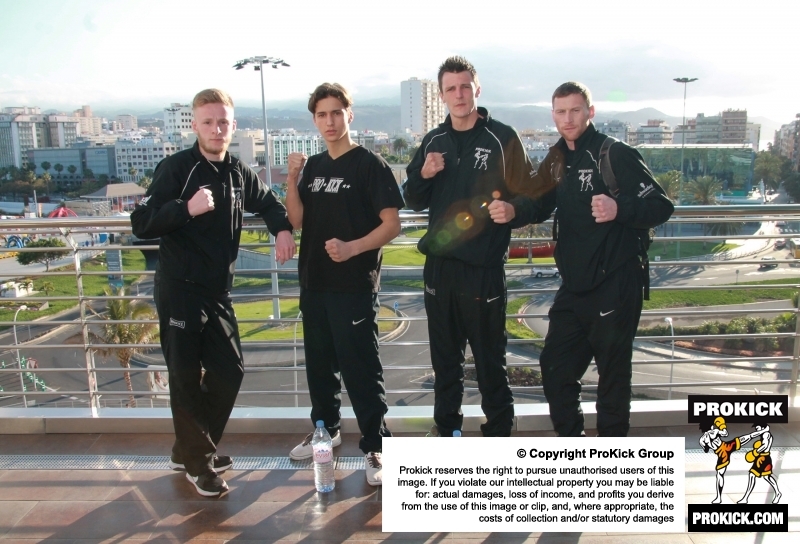 Team ProKick's #FabFour all hit the scales at the arranged weight at the busy weigh-ins set at the biggest shopping mall in Las Palmas the capital of Gran Canaria. It been fun in the sun as four ProKick team fight TONIGHT Saturday April 16th 2016. The Weigh-in were LIVE on The ProKick FACE BOOK - If you missed any of the weigh-ins then you can play catch-up, there is over 30 mins to look through and find your favorite fighter. Team captain, #JohnnySwiftSmith was hoping to come in just under the 67Kg limit for his 2nd Pro fight, he hit all the 6's - 6:66kg just 4-hundred grams under. Dundonald’s fighters, Jake McCreedy made 67.7 300 grams under the 68kg limit super-welterweight. His oppanant was 400 grams over and successfully took all of it off and made 68kg the fight-weight agreed. Michael Swann under his first K1 rules match.also had no trouble as he tipped the scales under weight at 66.7 of the 67kg arranged. His fighter was not so lucky as he was 500 grams over - he took aroung 1 hour to take the weight off, and he did on his second attempt, well done. A huge thanks to the Gran Canaria-based champion Del Toro for looking after the team at his show.